A terracotta chimney flue liner plays a major role in protecting your home from fires and dangerous gases. The terracotta chimney liner will naturally deteriorate after years of chimney use, lack of cleaning and maintenance, or chimney fires. A professional chimney inspection should be scheduled each year to check your chimney and liner for defects. This will help identify if your chimney liner is in good condition and prevent any health and safety risks. For reliable and professional chimney inspections or terracotta chimney liner repair and replacement, call Chimney Repair NY at 1-877-952-7425 or request a Free Terracotta Chimney Estimate. Most masonry chimneys have terracotta tiled chimney liner flues. When a fireplace, wood stove, or furnace rapidly heat up a chimney liner, the dramatic change in temperature near the top of the chimney can cause the terracotta chimney liner to crack and flake. A cracked terracotta chimney liner should be repaired as soon as possible, especially before using the chimney again. 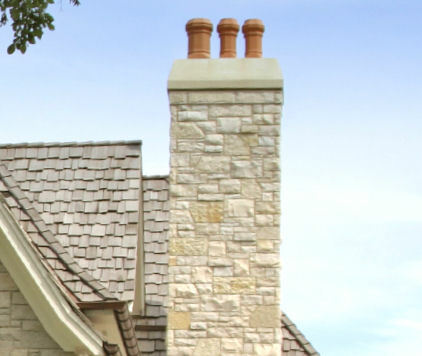 Our skilled and experienced chimney technicians can restore safety back to your chimney and fireplace by repairing your damaged terracotta clay liner, installing a new liner, or relining the chimney liner. Call us today at 1-877-952-7425 for reliable flue liner relining, repair, and installation or request a Free Terracotta Chimney Quote. We will fix any damaged clay tiles or reline the flue. A well maintained chimney flue liner will improve the chimney and flues durability and functionality. We work hard to ensure the safety and satisfaction of all homeowners, with our terracotta chimney construction and repair services.